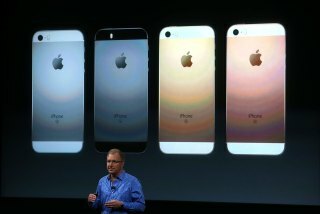 Apple VP Greg Joswiak announces the new iPhone SE during an Apple special event at the Apple headquarters on March 21, 2016 in Cupertino, California. Apple's next event is scheduled for September 7, and a newer iPhone could be announced. Apple is expected to show off a new iPhone next week when the company holds its fall product launch event in San Francisco.